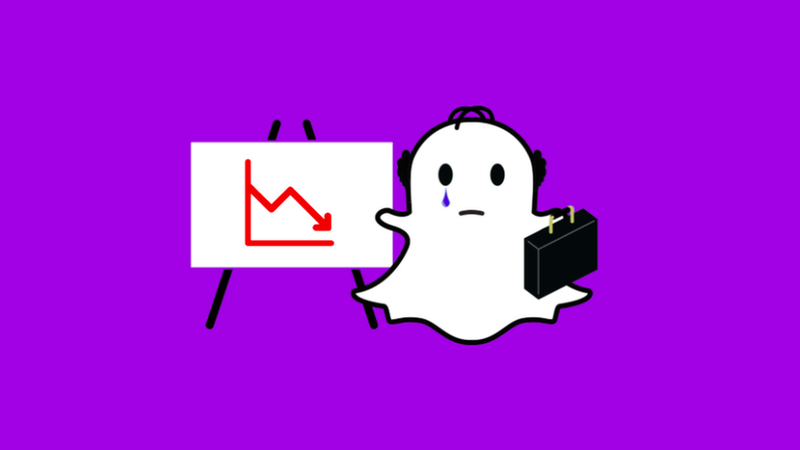 Snap Inc.'s stock fell over 14% in after-hours trading Thursday after the company missed Wall Street analyst expectations for both revenue and earnings during the second quarter. Also, Snap co-founders Evan Spiegel and Bobby Murphy said they will not sell shares this year, showing commitment from the company's leaders amid the employee lockup expiration Monday. "We believe deeply in the long term success of Snap," Spiegel said on the call. Bottom line: The company added 7 million daily active users in Q2 2017, but missed Wall Street expectations for user growth and grew slower than previous quarters. Average revenue per user — a key metric for investors to see how well Snap's advertising efforts are working — was up more than double for last year, but the company's profits were lower than expected after expenses were greater than what investors had hoped. Average revenue per user: (UP) $1.05, more than double a year ago ($0.50). It rose 16% from last quarter's $.90. Increased growth of memories: "Over 250 million snaps saved in memories every day," Spiegel said. It's a key point of growth for Snap which has rebranded as a camera technology company. Increased user engagement: "The average Snapchat daily active user sends 20 Snaps per day," Spiegel said. Heavy investments in studio partnerships. "We've worked with Warner Brothers on 48 movie releases in 2016," Snap's Chief Brand Officer Imran Khan said. User growth in North America: "We added 4 million net new users," Spiegel said. "Over 25% smartphone users in UK, US and France using Snapchat every day." Ad growth in North America: "Over 40% ads come from North America," Khan said. "Over 69 million (daily active users) are in the US & Canada.These two countries account for over 50% of total ad spend."